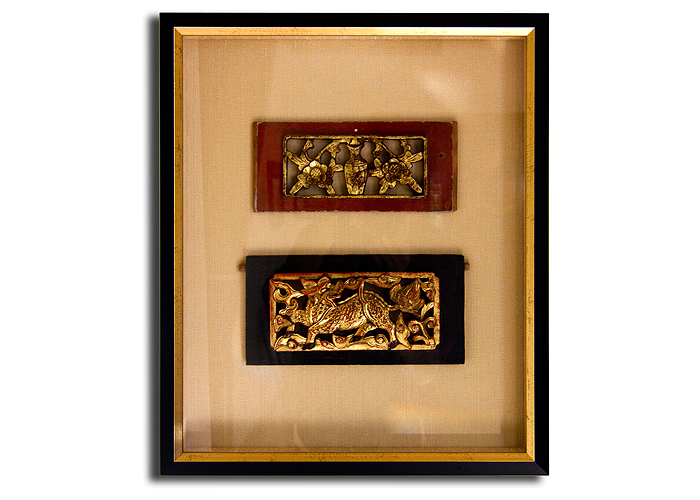 Objects such as these chinese artifacts brought home from a special trip can be framed and displayed in your home. We found a frame deep enough to contain the artifacts and floated them on raw silk. The total look was rich and became a conversation piece in the home.